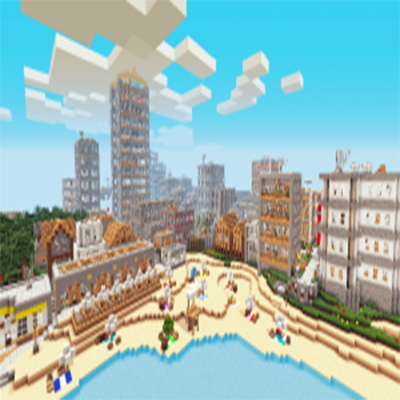 Vertoak City is a massive city themed creation/adventure map for minecraft. Unlike other maps, there are no goals or rules in Vertoak City, you can explore and do anything you want. You choose your own adventure! Every building in the city has fully furnished rooms to explore, and there are tons of hidden chests and secret rooms to find as well. Can you find them all? There are also two ruins located near the city, exploring them will reveal their secrets. What if the map creator needs a break? quit minecraft? or even passed away? Every good thing has an end. Simply download, wait for it, search %appdata% in your search, click the folder, find .minecraft, place it in saves, load up minecraft, load up the newly placed world, and play. i may be 2 years late, but here you go. Can I do an let's play on this? thats a good idea. ill do it.